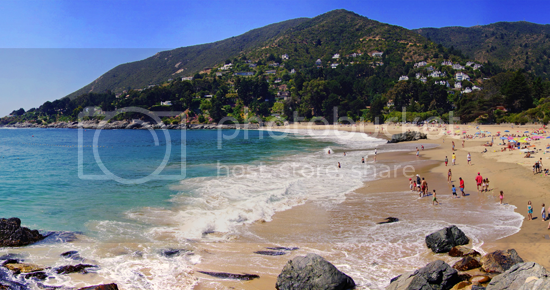 Looking for nice beach areas in Chile? No matter where you go along the coast of Chile, you’ll find nothing but sparkling shorelines, clean beaches and beautiful beach town resorts. However, the thing to remember about Chile is that its beaches are as cold as the beaches of the Eastern Seaboard of North America. 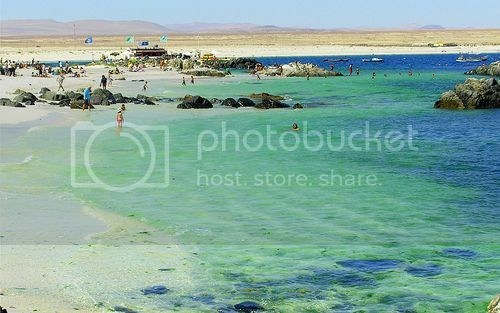 Bahia Inglesa is known for two things: white sandy beaches and warm turquoise waters, and of course, swimmable beaches! Bahia Inglesa is one of the best swimming beaches to go to in Chile if you're traveling with kids because the good tourist infrastructure. 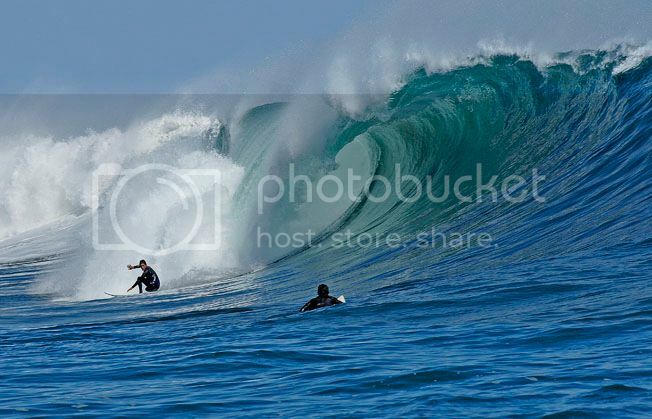 Bahia Inglesa is also great as a surfing spot for newbies because waves are small and the waters are relatively calm. Another thing Bahia Inglesa has going for is that it's located just a short drive (10 mins) from the port city of Caldera, which boasts even more accomodation options. Vina del Mar isn’t only the most popular beach town in the Chilean Riviera but also one of the most sought-after vacation spots in Chile. The reasons for Vina del Mar's popularity are it's luxurious vacation rentals, suburban communities, 5* ocean-side hotels and its many beaches (i.e. Renaca Beach, Casino Beach and Playa Blanca. 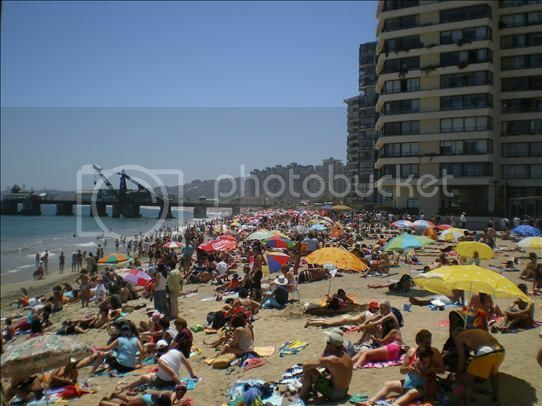 Having said this, the biggest draw of Vina del Mar beach town is just a stone-throw away from the beach resorts of Valparaiso and Concon, which are the two other beach towns that make up the famous Chilean Riviera. Zapallar is another beautiful bay beach, which is great for families with kids and anyone looking to stay away from the hustle and bustle of the larger beach town resorts. Zapallar boasts a small resort (Marbella Resort) and a small hotel called Isla Seca, which is where most people choose to stay in Zapallar. Saying this, there are also nice beach houses you can rent out for around 90,000 Chilean pesos (~$200) per week. Besides the gorgeous beach and charming eateries where you can sample Chilean delicacies such as locos (sea-snails), Zapallar beach boasts a lovely promenade where you can catch some of the most romantic sunsets ever! This list wouldn’t be complete without mentioning Easter Island’s Anakena beach, which is no doubt, one of the nicest beach spots in Chile. 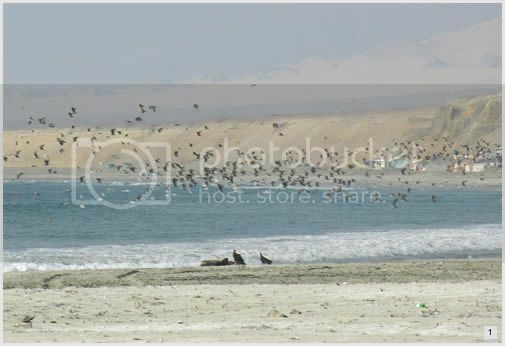 If you can make the trip to Anakena beach, you will be rewarded with undoubtedly, the warmest waters in Chile. 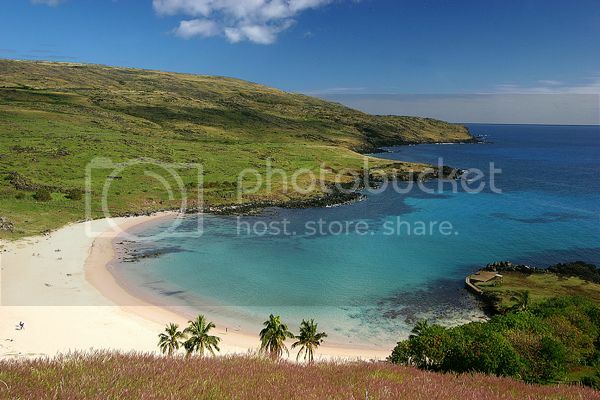 In fact, both Anakena beach and Ovahe, which are located on the northern part of Easter Island get protected from the open sea so they aren’t affected by the dreaded cold current that affects most of the Chilean coastline. Anakena beach is still best because it's the most accessible beach in the island and home to the famous Moai statues. If you’re looking for beautiful surfing beaches in Chile, look no further than the beach at Pichilemu, which is the best surfing spot in the country. The main reason for Pichilemu’s popularity is its low-key atmosphere (fairly undeveloped) and great waves, which are ideal for every surf level. The only drawback about Pichilemu beach is that the waters are seriously cold most of the year, which means you’ll need a wetsuit without fail! Horseshoe (La Herradura) beach is easily one of the nicest, calmest and warmest swimmable beaches in Chile, besides Bahia Inglesa. The good thing though about Horseshoe besides being pleasant is that you can do lots of water sports like windsurfing and scuba diving. 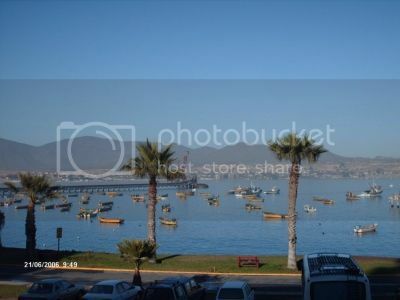 Probably the best bit about Horseshoe beach is that it’s only a short 20 minutes drive from the beautiful colonial city of La Serena, which boasts a huge flea-market where you can buy all kinds of souvenirs, nice handicrafts such as hardwood furnishings and cheap decorative ornaments. 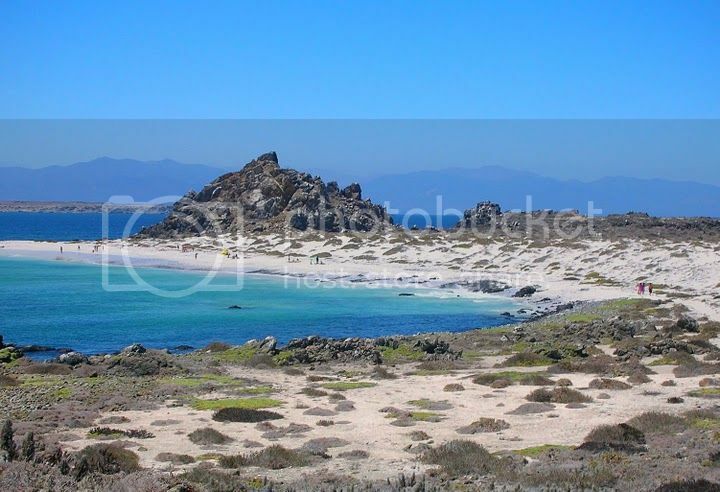 Hornito beach is a cool mile-long beach with warm and calm waters but unlike Horseshoe and Bahia Inglesa, Hornitos is unspoiled and it's surrounded by the most beautiful and captivating desert scenery ever! You won’t find in Hornitos beach a tourist infrastructure to speak of besides some vacation homes although that isn’t too much of a problem since Hornitos isn't far at all from the town of Mejillones.